On a mid-July afternoon here at the ASC, a surprise visitor rolled in. 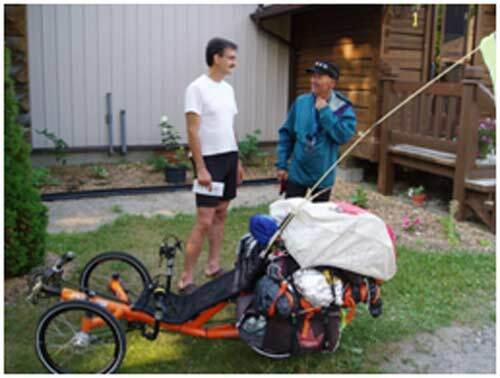 He rolled in on a recumbent bicycle laden with gear of various shapes and sizes. Greeted by Fr. David (is that correct? ), he was happy to find here some friendly faces and a place where he could rest. Our guest’s name is Zbigniew Czyzak, but he goes by Alex. Originally from Poland but living in France, he is doing no less than travelling from Vancouver to Montreal by bike. He has been staying in hostels and camping, usually sleeping in a hammock under a tarp. (He told me about looking out from under his tarp one morning, and looking into the face of a bear!) A woman in the town of Espanola, nearby, had suggested to him that he might find lodging here at the Centre for the night. As I had tea with Alex, and chatted with him in French, I found out that he is something of an expert on tea – has written a book on the topic, no less. He told me that green tea can decrease the chances of HIV developing into AIDS. On a more immediately practical note, he suggested that I let my tea steep for ten minutes, to allow it to take full effect. Alex also told me about some of the events of his cross-country tour. The story of his adventures through Canada reminded me of the pilgrimage that I undertook as a Jesuit novice. He spoke of his journey being a kind of pilgrimage, too. We talked about being out on the road, uncertain of what will happen next, having to trust in God and the kindness of strangers. We then toured around the Centre. Alex was most moved by a picture of Pope John Paul II. A tear came to his eye as he shared that, to him, the Pope had given the Polish people the strength to overcome Communism. A journey such as Alex’s puts one in a position to really appreciate life, I would say. And it rubs off on others: Alex’s excitement and joy helped me to appreciate the day and all the blessings in my life. 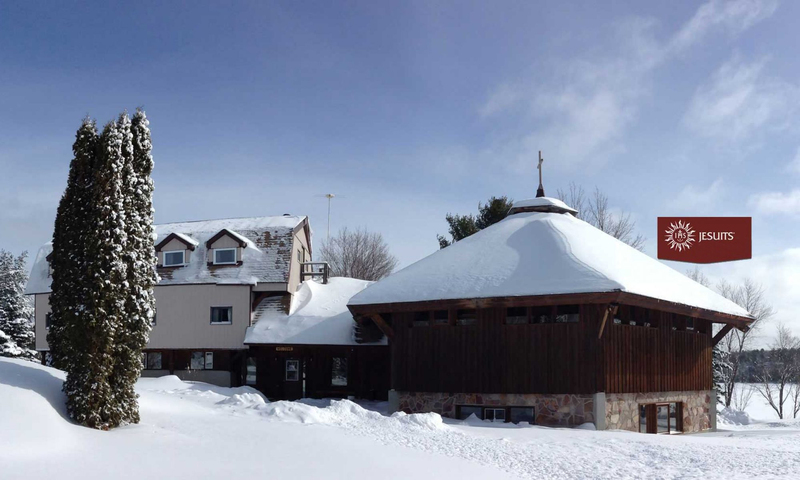 Previous PostPrevious Among the Indigenous Peoples of Northern Ontario – Fr. Mike Stogre, S.J.